Baseball rehabilitation and prehabilitation often focuses on the dominant throwing arm for obvious reason the incidence of injury is higher. In position players the non dominant arm plays an important role in hitting mechanics and should be evaluate to prevent injury. For a right handed hitter who also throws right handed, the left arm is used to decelerate the the swing during hitting. Eccentric strength, which is the ability for a muscle to contract while the muscle is lengthening, is required to decelerate the swing. An easy example of eccentric strength is the controlled descent of a bicep curl, how slow/smooth the weight can be lowered is based on the eccentric strength of the bicep (the bicep is both lengthening and contracting). During a forceful swing, the follow through and slowing of the bat is controlled mostly by the non dominant arm. There are different styles of follow through that impact the amount of eccentric strength required of the non dominant arm. Single arm follow through puts the greatest demand on the arm. Two arm follow through allows both hands to decelerate the swing, although the demand is still greater on the non dominant arm. Some positions players throw right handed and hit left handed which puts increased demand on their dominant arm to decelerate the swing since their dominant arm is leading in their batting stance. In this case different training/ strengthening can be implemented to prevent injury related to swinging. A proper wholesome strengthening program for a position player who both throws and hits would require evaluation of the eccentric strength of various muscle groups that would be active during deceleration of the swing. The muscles active during swing deceleration would be the internal rotators of the shoulder, pectoral complex, shoulder extensors and shoulder adductors. All of these muscles are eccentrically controlling the deceleration of the swing. Without strengthening of these muscles injuries from excessive joint torque such as cartilage damage, labral injuries and dislocation are likely higher because of the lack of muscular support. Evaluation of weakness related to the shoulder complex of the non dominant arm is an important factor to keep young athletes competing on the field and having fun. Hip impingement is a condition where there is abnormal contact between the acetabulum (hip socket) and the femur (thigh bone) during motion of the hip joint. Impingements can occur for various reasons. First, it can be congenital based on how your bones form. A pincer impingement occurs when too much bone forms on the edge of the acetabulum blocking motion of the femur. A cam impingement occurs when too much bone forms on the femoral head also blocking proper motion and increasing boney contact with certain motions. An individual can also have hip impingement symptoms from muscle weakness. For example, the gluteals pull the femur posterior when properly engaged, anterior impingement can occur with weakness in the gluteals causing the femoral head to rest in an anterior position within the hip socket. Last, muscle tightness or imbalances can also cause impingement due to abnormal forces at the hip joint affecting typical rotation of the joint and causing abnormal boney contact. There are also other rarer situations that will not be fully covered in this article that can cause hip impingement such as Slipped capital femor epiphysis (SCFE) a pediatric condition causing a slipping of the hip growth plate. The typical location for discomfort with hip impingement is groin pain that occurs with active motion of the hip. No pain is typically present during rest or when the hip joint is still. For baseball players, extreme torque and range of motion is required in order to perform a successful swing. For a right handed hitter, the right hip goes into external rotation (out toeing) and abduction while the left leg goes into internal rotation (in toeing) and adduction as the hitter drives the back hip forward to make contact with a pitched ball. This motion can cause pain over time if an impingement is present due to abnormal boney contact. An anterior impingement of the hip joint is irritated by maximal joint closing (most boney contact between femur and acetabulum in a typically functioning hip) which involves both internal rotation and adduction. Labral tears and injuries from damage to the joint cartilage can occur over time with repetitive trauma to the joint from abnormal boney contact. Baseball is a sport of repetition and movement patterns that if performed over time puts individuals with hip impingements at a higher risk for injury. 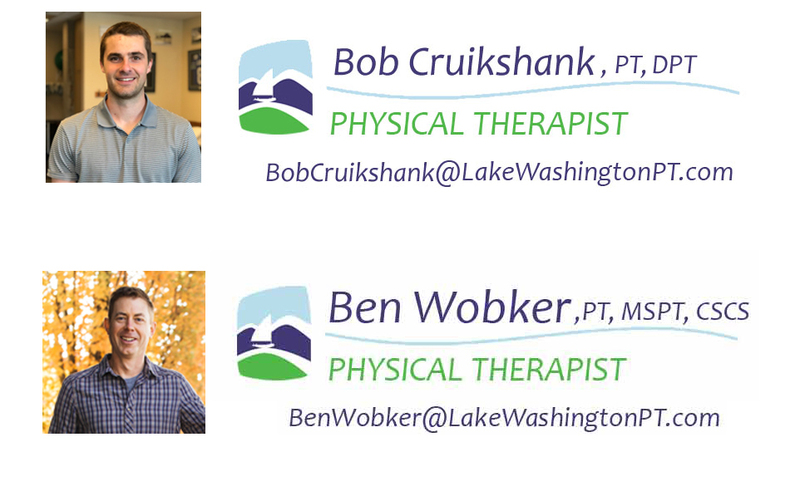 Labral tears and intra-articular (inside the joint) injuries can sometime elicit pain with abduction and external rotation of the hip in end range, which is the position of the back hip during a swing. Batting stance is often selected out of a combination of personal characteristics of a hitter and coached techniques. Modifying or changing batting stance or foot position can be beneficial to reducing hip pain and impingement signs causing poor tolerance to sport or recurrent injury. In toeing with the hind foot in a batting stance will cause the foot to start in a position of more internal rotation so that when a swing is initiated and the hitter drives the back hip into both external rotation and abduction, the batter ends the swing in less of an end range position reducing pain that may occur with swinging in the back hip. Additionally, out towing the front foot (pointing the front toe towards the pitcher more) will start the front hip in more external rotation so that when a hitter swings driving the front hip into more adduction and internal rotation, it decreases impingement signs because the front hip ends the swing in less extreme end-range positions. 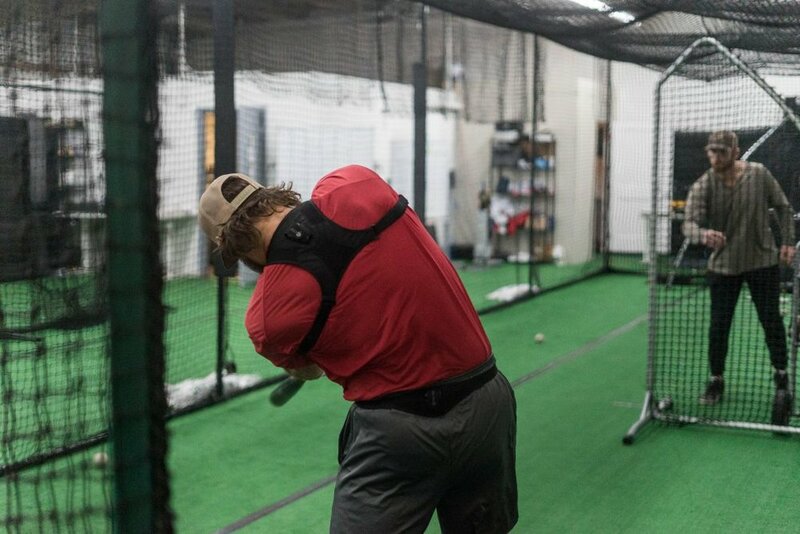 Both batting stance modifications aim to reduce torque in both surrounding muscles and joints, but torque is also a source of power for a batter. To address hip and groin pain without changing batting stance would require determining the source of the hip pain. For anterior impingement, improving a players glute strength and trunk strength through exercise may reduce pain if weakness is present. Although foot placement ultimately does not fix hip impingement it could be a tool to temporarily reducing pain, giving the joint a chance to rest from the repetitive trauma that is causing the joint pain, while individuals complete a rehab process, strengthening or mobility routine to ultimately improve the cause of the impingement symptoms. Groin pain during a baseball swing is atypical and can be addressed through swing mechanic modification, muscle strengthening or activity modification to improve longevity of an athletes successful participation in the game.